inspired by the grain, The bakers we strive to create breads that honor the ingredients. this is a selection of our most popular and regularly crafted breads. Limited edition breads, such as Sweet Corn Ciabatta and Pumpkin Sourdough, make an appearance seasonally. Whole Grain Maine Rye. A hearty, traditional style rye, this bread is a blend of 80% whole grain Maine rye flour and 20% sifted Maine whole wheat flour to create this hearty, loaf. Slice it thin and enjoy with cheeses or spreads. Toasted Oat Loaf. Maine Grown Oats and Maine Grown Whole Wheat combine to create this deliciously nutty bread. Great for toasting or the base to an outstanding PB & J.
Flatbread Skinnies. Crunchy and highly addictive. Rolled whole grains are toasted and soaked, then mixed with sifted wheat flour and a touch of Maine maple syrup before fermentation and baking. Flavors include: Buttermilk Herb, MultiSeed, Sunflower Oat, Sourdough Rye and Sesame Spelt. Brazen Day Loaf. Sourdough loaf made with Maine Grown, Sifted Whole Wheat Flour, Whole wheat flour and a touch of whole grain rye. A light and versatile table or sandwich bread. Maine Wheat Loaf. 100% Maine-grown sifted whole wheat flour and naturally leavened.. Beautifully light, whole wheat flavor that compliments many foods. Our staple table loaf. Maine Spelt. 100% Maine grown, whole grain Spelt loaf. Naturally rich, distinct spelt grain flavor. Poppy Corn. 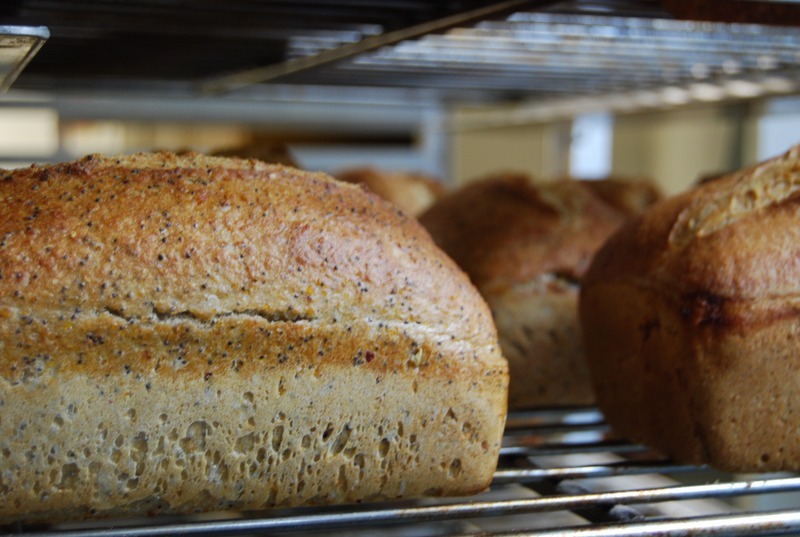 Maine grown cornmeal, Maine Grown Whole Wheat flour and Organic White flour with abundant poppy seeds create a fun and flavorful bread, Its natural sweetness is perfect for any sandwich or buttered toast.